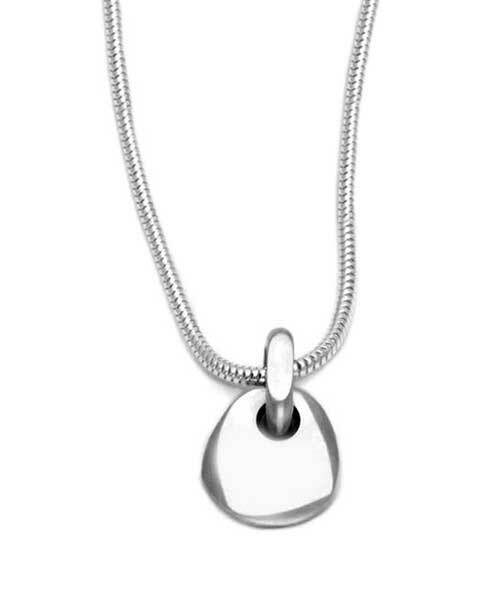 Stone Shaped Sterling Silver Necklace : LOVE2HAVE in the UK! This women's handmade sterling silver necklace literally boasts rock-solid designer styling as it comes in the form of a stone shaped pendant. The pendant is in solid silver and features random shaping and faceted edging just like natural stone. This piece is also suitable for a personalised engraving so you really can carve your message forever in stone. The pendant size is approximately 12mm x 10mm.